If you regularly attend Meetups you get the chance to listen to clever people sharing their experiences. And if you are clever too, you try to learn something from them. A few weeks ago, I went to a Meetup in Stockholm organised by Spotify: Killing Quality Assurance for the sake of Quality. One of the lightning talks was held by Jeff Bergcoutts, QA at Spotify, and he talked about the concept of test sessions. I had never heard about this concept before but I got really excited about it because we were just about to do a major release of our product Kopps, switching our db backend from Oracle to PostgresSQL. 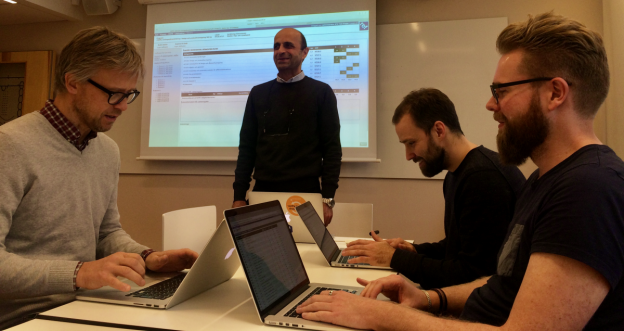 (Kopps is the software KTH uses to administrate and manage programme and course information). To get rid of some of the anxietywe arranged a test session and invited everyone to join. 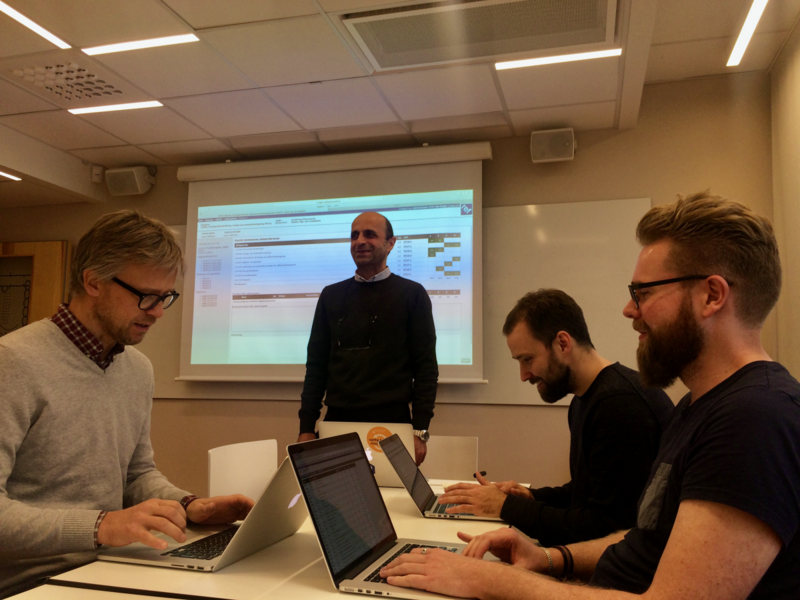 We got a diverse set of people involved in the testing: developers, customers, even managers showed up and where happy to hack away on our new release. So what is a test session? Basically you invite a bunch of people, book a conference room and let them start to hack away on your software. How do we perform a test session? Decided one person to be the session lead. This person will not participate in the testing, rather he or she will help the participants if they get stuck, answer questions and make sure we take note of any bug which might surface during testing. Prepare a shared document with the url , login credentials etc. Let the testers write down any bugs they encounter in this document. Set the right expectations for your product. If the product is in a beta state you might want to tekk the testers to ignore the unfinished parts and focus on specific features. If you have plenty of people attending, divide them into groups to test specific areas of your product. For example, we wanted to put focus on a specific admin interface and assigned a few extra people to this group. Offer some food or fika to the people attending the session. This is probably the most important part! Due to time constraints (we where releasing the next day) we didn’t have time to prepare properly. The session was a success anyway, both for us and for the people participating. We found no serious bugs and could go ahead with the release the next day. The attendees where pleased with being the first to participate in this kind of event and also to get a chance to play around with our software. I would say the concept is great. We got rid of our anxiety for doing the release on time and we found some smaller bugs in the ui to be fixed later. Another development team also decided to adopt test sessions and they are organising one next week. Ett bra sätt att sprida kunskap om produkter mellan team också!